We know you will love this Awesome Faux Rabbit Fur bags Small Messenger Bag for Women Cross body Shoulder Bags Winter! 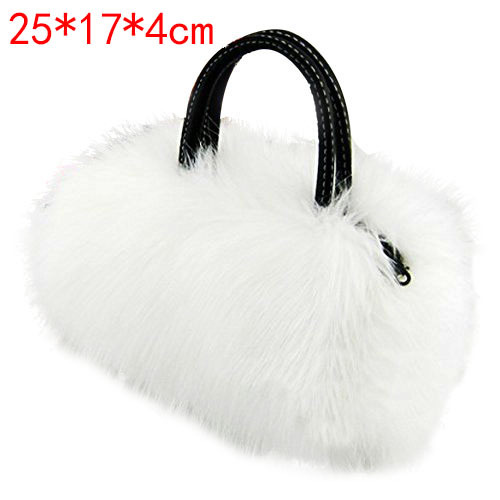 Then this Faux Rabbit Fur bags Small Messenger Bag for Women Cross body Shoulder Strap Bags Winter is a MUST-HAVE! Buy it Now a before our supply runs out! This bag makes you re satisfied for your convenience and style as well. Click the "ADD TO MY CART" Button! We offer a 100% Satisfaction Guarantee or your money back. Ships in 1-3 Days from our US Warehouse! © 2019 Clutch Envy. All rights reserved.